Ruta 89 y calle los Europeos. 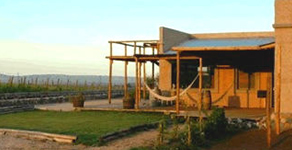 In the middle of the Wine Routes in Uco Valley, among the wineries, and the vineyards from the most well-known wine makers is Tupungato Divino, a lodge and a not at all conventional restaurant. 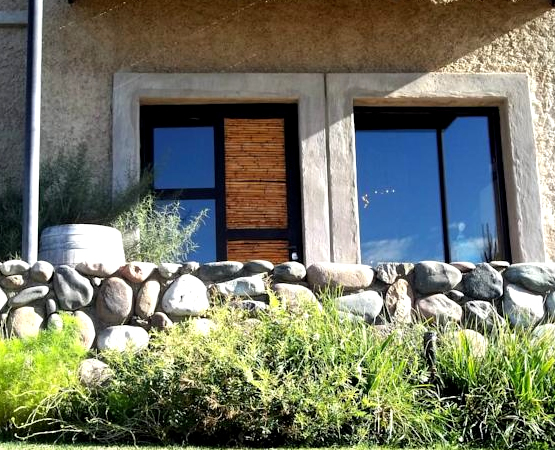 It is a project of two families from Buenos Aires, who, fascinated by the landscape of Tupungato, decided one day to change their lifestyles, choosing Tupungato as the best place where to live. 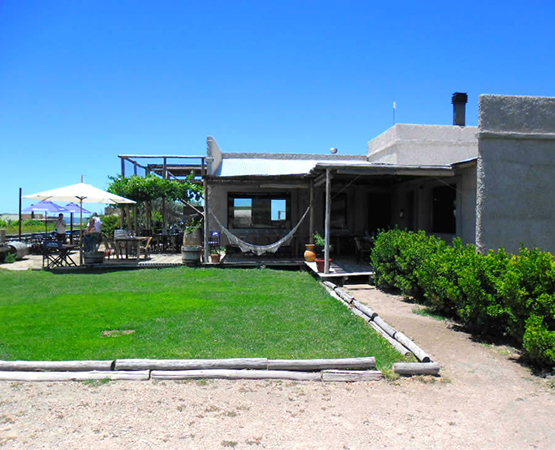 The premises consist of 5 hectares with an outstanding view; at the foot of the Andes Mountain Range with peaks over 6000 meters high. With the best view to Mt. Tupungato and Cordon del Plata, where one can truly appreciate the magnificence of the Andes Mountains Range, is Tupungato Divino, surrounded by the wineries and the wineyards of the most important wine makers from the Uco Valley: La Rural (Rutini, Trumpeter), Domaine Jean Bousquet, Andeluna, Salentein, La Azul, Sophenia, are just some of the closest neighbours. 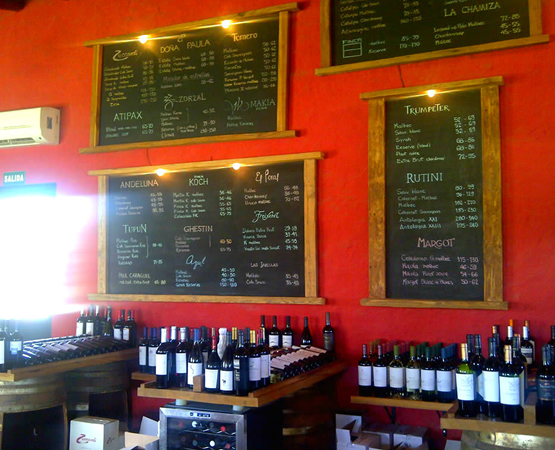 In Tupungato Divino, the wines of the region are at the same price as in the wine shops, and in many cases the same as in the neighbour wineries. 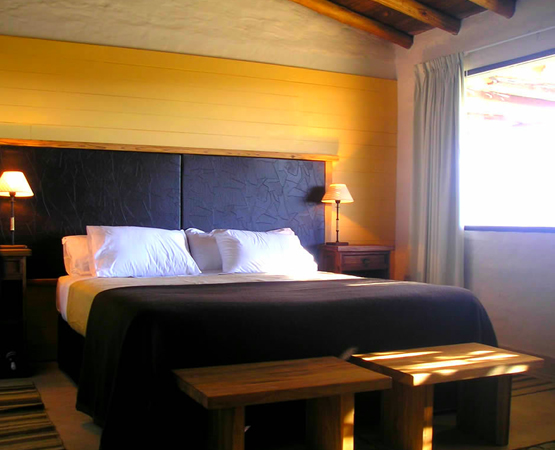 The rooms are spacious and comfortable with a magnificent view of the Andes Mountain Range and a few meters away from the vineyards. • Total area aprox. 45m2. The Restaurant works every day at noon, and it is optional. The kitchen is run by two chefs graduated at “Escuela Internacional de Turismo, Hotelería y Gastronomía de Mendoza” of “Fundación Islas Malvinas”, who serve and explain the dishes to the guests, creating a warm and homely yet charming and refined atmosphere. 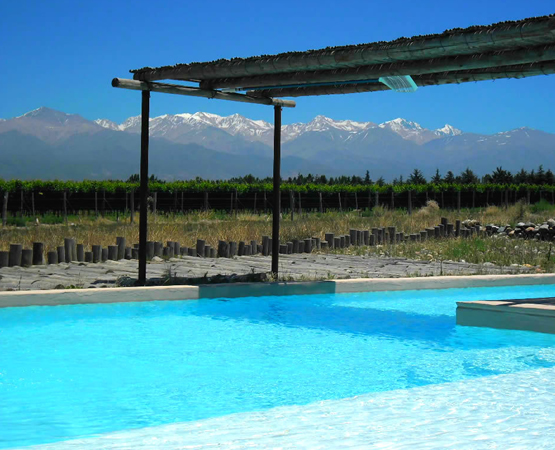 Tupungato Divino is situated among the wineries and vineyards of the most important wine makers in the Uco Valley: La Rural (Rutini, Trumpeter), Domaine Jean Bousquet, Andeluna, Salentein, Masi, La Azul, Sophenia, Zorzal, Familia Giaquinta, are just some of the closest wineries. In the Valley, there also some more winerys, such as O. Fournier, Lourton, La Celia, Hinojosa, Benvenuto de la Serna, Abril, amongst others. In addition to this, from here there can be seen the vineyards of Catena Zapata, Trivento, Finca Flichman, Chandón, Freixenet, Doña Paula, etc. The wines that are for sale, always have something in common with the terroir. Generally, with just a glimpse through the window, you can see the vineyards from where the grapes of the wine one is drinking, have been grown. Tupungato Divino se encuentra a 85 Km de la Ciudad de Mendoza y a 8 Km de la Villa de Tupungato en medio de lo más pujante de los Caminos del Vino del Valle de Uco.